I knew that she belonged in the neighbourhood and she knew that I belonged in the neighbourhood. Neither of us was comfortable in the back alley at night, and it was almost a comfort to run into one another, rather than an unrecognized stranger. One morning as I was hurrying off to class, I heard the old woman moaning underneath her makeshift tent. I quickly unlocked my car and drove off to the University to study the religions of the world. My first class was Ancient Near Eastern Mythology, the Prof gave a 2 hour lecture on the development of Mono-Theism. I then had a 3 hour seminar in the methodology of Religious Studies. The seminar was made up of the my fellow honours students. The nine of us were receiving private instruction from the professor of Jewish Studies. Among my fellow students was a young man who would become one of my best teachers. Sannidhi was a Hindu who I suspect has traveled this earth in many incarnations. Sannidhi possessed a wisdom beyond his 20 years of age. Sannidhi taught me the Hindu understanding that all gods are but pale imitations of the ONE God who lies at the very heart of all that is. It was from Sannidhi that I first learned the Hindu description of the God that I have come to love above all other descriptions of God. I’ve shared it with you many times: God is beyond the beyond and beyond that also. Despite the difference in our ages and backgrounds or maybe because of them, Sannidhi and I became study partners. Together we navigated the murky waters of conversation during our Methodology seminars. In addition to Sannidhi and I, our class included 2 atheists, 2 agnostics, 1 Buddhist, a Jew, and one other Christian of the conservative variety. Our Professor was introducing us to the phenomenology of religion; a topic best studied with copious amounts of coffee. It was so much fun to speculate on the perceived nature of the divine with people who experienced the divine in such diverse ways. I remember giving Sannidhi a ride home in my car and laughing at his awe of my old Chevy. Our conversation about the reality of God was so engrossing that I invited him to stop of at my place for a cup of tea. That’s how we ended up talking to the old woman who lived rough in the back alley behind my basement apartment. Her name was Joanna, in just a few moments Sannidhi had learned that she liked milk and just a touch of sugar in her tea. I had never dreamed of offering her a cup of tea Sannidhi never dreamed of not offering her a cup of my tea. Sannidhi could not understand my agitation. He kept reminding me that I and Joanna are one and the same. Joanna is a woman and I am a woman. This fact together with the knowledge that Joanna was her name failed to impress me. Indeed, I must confess that I was annoyed with Sannidhi for introducing us. As long as she was just an old woman sleeping rough, I could acknowledge her existence without being touched by her presence. I did not want to be touched by her. But, I did not share this information with Sannidhi. After all Sannidhi is a Hindu from India. How could I expect him to understand how I a Christian from Canada felt about the woman who lived in the back alley? So, I let Sannidhi prattle on about how I and this old woman, and indeed he Sannidhi are all One but I didn’t really know what on earth he was talking about. I can read these words. I can tell you that according to Paul life in Christ means that there is no longer a distinction between people of different tribes, economic circumstance or gender, because all are One in Christ. But I find it difficult to understand what it means to be One. Sannidhi would often tell me that I would not find the answers about God in books but rather in myself. He would often encourage me to look deep down inside myself so that I might discover that the transcendent God for whom I longed for is the immanent ONE who lives within us all. I always loved the sounds of Sannidhi’s sentences but I could never fell their meaning inside of myself and so the ONE for whom I longed eluded me. Sannidhi is right of course, I have never, no matter how hard I’ve tried, and I’ve tried believe me, and I have never been able to find the answers about God in books. I have however found hints about God in the stories people tell about their encounters with the ONE in whom we live and move and have our being. In his book, A New Harmony the Scottish mystic John Philip Newell tells a story about his first trip to India. This pleased him well enough that he proceeded with our discussion in which he expounded for me the heart of Hindu wisdom. He spoke of the Self within all selves and of true self-knowledge as consisting of an awareness that our selves are rooted in the One who is at the heart of all life. He then said, with an even more emphatic wagging of his head, “I must be going now, but I have one final thing to say to you. You are God. And until you realize you are God, you will not be wise, you will not be hap, and you will not be free. Namaste.” And off he went. Like many of you, I have been following the devastation that is being caused in Alberta as a result of the flooding that is taking place. Three people have died and hundreds of thousands of people have been driven from their homes. When all is said and done the damage to property will be immense. As our eyes are turned toward the suffering of our own people, the news media has been distracted from a far greater flood that is taking place in Northern India. As of yesterday more than a thousand people have died and so many roads and bridges have been washed out that the actual number of dead is just a low estimate as thousands more await rescue. June marks the beginning of the rainy season in the area, but authorities insist that there has never been a disaster of this proportion in the area. From the safety of our living rooms, few of us will see the news reports of the devastation in India. The morning after I learned her name, I could not dash off to university without first bringing Joanna a cup of tea with milk and just a touch of sugar. To this day, I am ashamed of the way in which I handed Joanna her tea. I sort of grasped the cup from the rim and held it out so that Joanna could grasp the handle without ever running the risk of her touching my hand. I did not want to be touched by her. After several weeks of serving her tea, it seemed only prudent to leave my car unlocked when I parked it so that Joanna could sleep on the back seat. Each morning on my way to school, I would surrender a cup of tea in exchange for the repossession of my car. That old Chevy Nova didn’t make it through my final year at UBC. It became hopelessly un-road-worthy and I had to replace it with an old orange and black Ford Fiesta, which I managed to purchase for just $300.00. I transferred the ownership of the Chevy Nova to Sannidhi just before he returned to India and together we abandoned it on a lot under an overpass to the Granville St Bridge that no longer exists. For those of you who might remember the south end of Granville street the overpass was just down from the Fraser Arms Hotel and has since been replaced by the New Bridge to the Airport. We locked up the old NOVA and gave the keys to Joanna. That old Nova provided a home for Joanna until long after Sannidhi returned to India. I didn’t see much of Joanna after see moved into the old Nova. Gone was our morning Tea service. I moved out of the neighbourhood. But for a few months as I would scan the neighbourhood looking for her as I drove past. 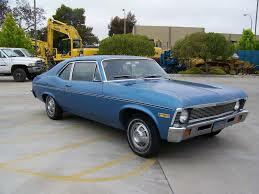 Eventually the city towed the old Nova away and with it went my opportunity to meet the God who dwelled within Joanna. I was afraid to let Joanna touch me. I never let her teach me her story. I never did find out what demons haunted her and drove her into the back alleys of the city. I was afraid of her and of her demons. That fear caused me to miss an encounter with the Holy One who dwells in her. The suffering of the people of India is enormous. I’m not sure if I have what it takes to let the suffering of the world touch me. It feels a bit like holding on to a teacup from the upper edges so as the thirsty ones cannot touch me. And yet, we come from the same ONE as they come from; the ONE who lies at the heart of all being; the ONE in whom all life is rooted. Namaste: the God in us, longs to greet the God in them. Before he left to return his home in India Sannidhi blessed me by sharing with me the meaning in Hindi of his name. To learn the meaning of one’s name is a life long quest for not just for Hindus but for many who trace their ancestry back to the Ancient Near East. Sannidhi comes from Hindi words that mean, sacred place, or holy temple. Sannidhi told me that it was both an honour and a grave responsibility to bear a name that speaks the truth about not only about the body that he inhabits, but the truth about the person that he is; a sacred holy place. Sannidhi touch me with his gentle grace and challenged me with his holiness. I have been scared by his touch, changed forever. I remain challenged by his holiness as the God in me longs to meet the God I find in those whose suffering frightens me. Fearful demons live in me and separate me from myself and those who live around me. I suspect that fearful demons also live in you. What will it take for us to evict our demons? What must we subtract from our souls in order to find our true selves, the Self that lies at the heart of all being? I cannot give you the answers to these questions. I can only bow before the enormity of their importance and bid you Namaste as the God in me greets the God in you. I pray that each of us might discover in our selves the sannidhi a sacred holy place that we are, for God dwells in us. Namaste. This entry was posted in HOLY CROSS LUTHERAN, Home, PONDERING PASTOR, Progressive Theology, SERMONS, STORIES, Theology and tagged emerging church, evolutionary christianity, galatians 3, John Philip Newell sermon, progressive christian liturgy, progressive christian sermon, Progressive Christian Sermon Galatians 3:23-29, progressive Christian sermon Luke 8:26-39, progressive christian sermon Pentecost 5C, progressive christianity, progressive theology, religion, worship bulletin by Rev. Dawn Hutchings. Bookmark the permalink.